Hostile local rivalries will be renewed and old grudges revisited this weekend as Everton meet Liverpool in the 233rd Merseyside Derby at Goodison Park on Sunday afternoon. Sunday’s contest will the 200th top-flight tussle between the great local rivals, though Everton are winless in the their last 16 of that double century of league meetings with Liverpool. 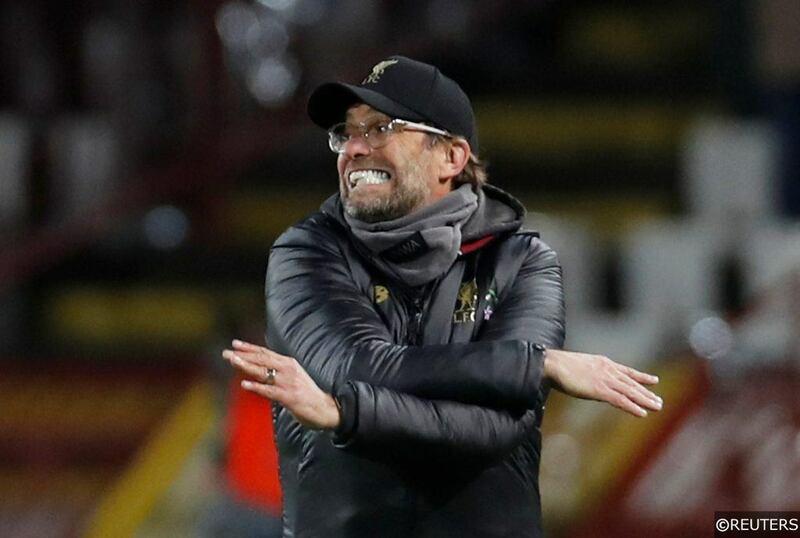 With Liverpool’s pursuit of the Premier League title requiring a near perfect points return to be maintained, Jurgen Klopp’s men know that even the slightest slip could allow Manchester City to steal in ahead of them at the top of the table. Alongside claiming 3 points of their own, Everton would love nothing more than to put a dent in their old enemy’s championship ambitions. Let’s take a closer look at some of the most important individual battles that are could play a key role in deciding the outcome of Everton’s showdown with Liverpool on Saturday. Read our comprehensive Everton vs Liverpool match preview with predictions and betting tips here. Brazilian attacker Richarlison has been deployed in different positions along Everton’s frontline by manager Marco Silva in recent weeks, though the 21-year old has spent the largest chunk of his time out towards the Toffees’ left-flank. 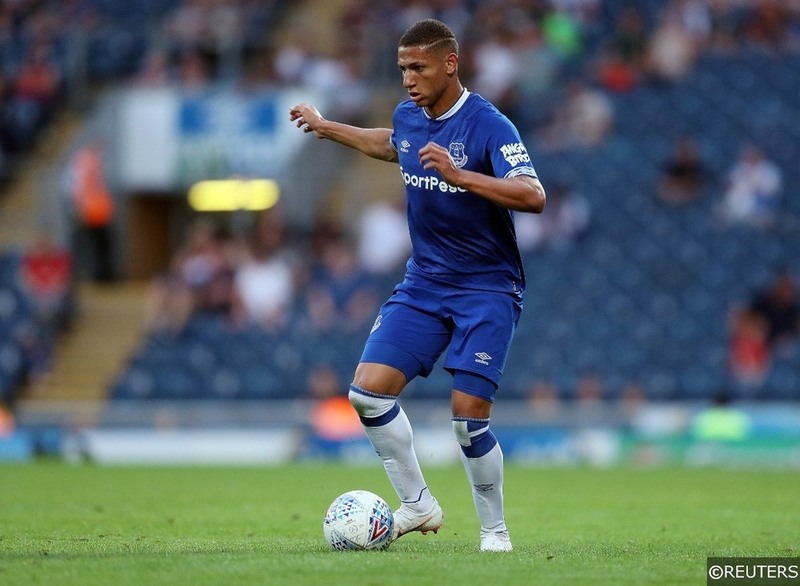 Should Richarlison reprise his wide-left role for Everton on Sunday, he will come up in direct opposition against a player just 7 months his junior, Trent-Alexander Arnold. Ironically, Richarlison’s biggest job in the Merseyside Derby could be tracking the surging forays of Alexander-Arnold down Liverpool’s right in a reversal of the players’ traditional roles. 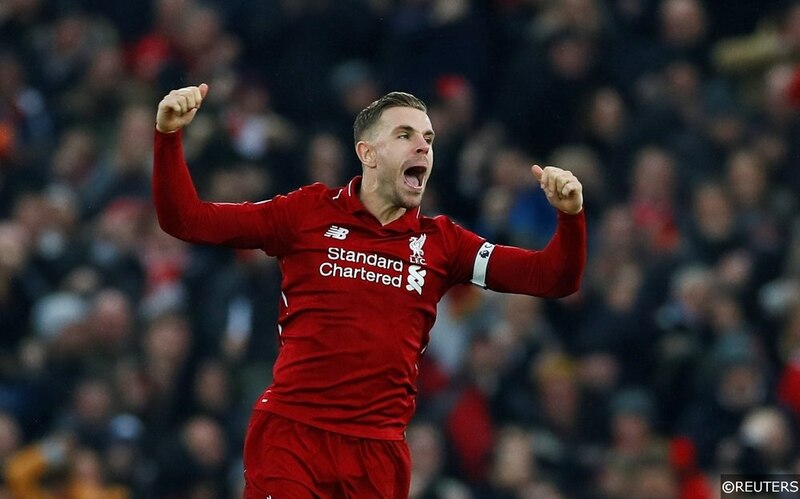 The 5-times capped England international amassed an incredible 3 assists in mid-week for Liverpool in their 5-0 win against Watford, and his delivery could be crucial in helping his team unlock Everton’s defence this week. In a season that has hit more low points than high for Everton, French left-back Lucas Digne has stood out as one of their most consistent performers. After a couple of ropey performances at the end of January, Digne bounced back with a string of impressive displays for the Toffees, combining a surety of touch with some front-foot defending. Digne will have his work cut out on Sunday against Liverpool’s Mohamed Salah however. The Egyptian has scored 49 goals in 64 career Premier League games for his club and if he manages to find the net on Sunday, he will have reached 50 goals for a specific club quicker than any other player in the competition’s history. Salah is Liverpool’s leading Premier League scorer this season with 17 goals, though the 26-year old is in the midst of a relatively dry patch having scored just once in his last 5. On Sunday, Salah will be desperate to be Liverpool’s difference maker in a such a crucial game and the former Roma star is priced fantastically at evens with bet365 to make his mark. Read more about Mohamed Salah and the rest of the Premier League’s most accurate marksmen here. Icelandic midfield goal-getting expert Gylfi Sigurdsson rattled home two superb goals for Everton in mid-week against Cardiff City, simultaneously pushing himself out at the Toffees top scorer in the league and giving his confidence a shot in the arm ahead of the Merseyside Derby. Sigurdsson is always near the front of the queue to shoot for Everton in and around the opposition’s penalty area. The 29-year old has averaged 2.3 shots per game for the Toffees this term, though that average climbs to 2.9 for Everton’s games at Goodison Park. 0.9 of Sigurdsson’s Goodison Park efforts have hit the target on average per game, and Liverpool’s screening midfielder Jordan Henderson will need to fully tune in to track the Iceland international’s movement in the Reds’ defensive third on Sunday. Fabinho seems to have ousted Henderson as the first-choice midfield anchor at Liverpool, though it’s worth noting that the England man was restored to the team for both of Pool’s tough away games in Manchester this year. 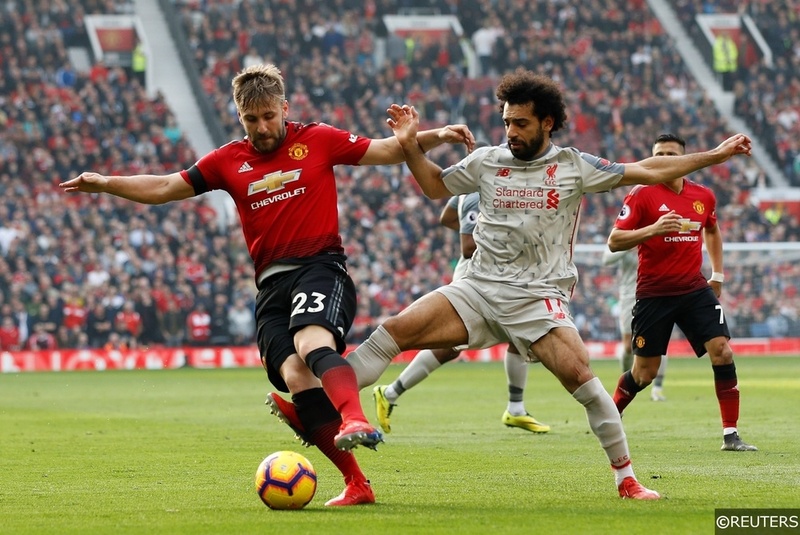 Roberto Firmino is in a race to be fit for Sunday’s game after coming off injured at Old Trafford against Manchester United last weekend, though the early indicators are that the Brazilian should be involved. 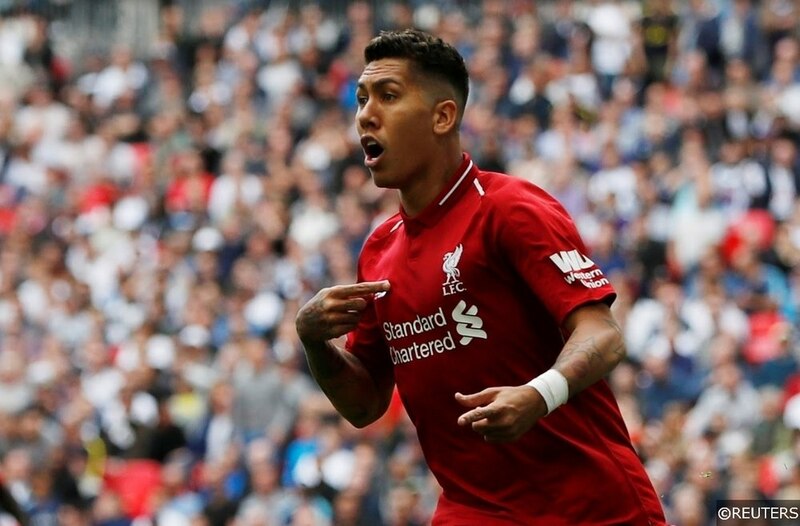 Even though his goalscoring numbers aren’t quite as high as the players who flank him, Firmino is arguably the fulcrum of Liverpool’s attack, knitting play, working the space and providing the platform for Mane and Salah to grab the headlines. Firmino, if he starts, will likely drop deep into the space patrolled by Everton’s Idrissa Gueye. The 29-year old combative midfielder has made more tackles (4.3) and interceptions (2.2) on average per Premier League game than any of his Toffees’ teammates this season. Everton almost lost Gueye to PSG in January, though they managed to hold onto the destroyer until the summer at least. The Toffees will need every inch of his in-demand defensive acumen to keep Liverpool out on Sunday. 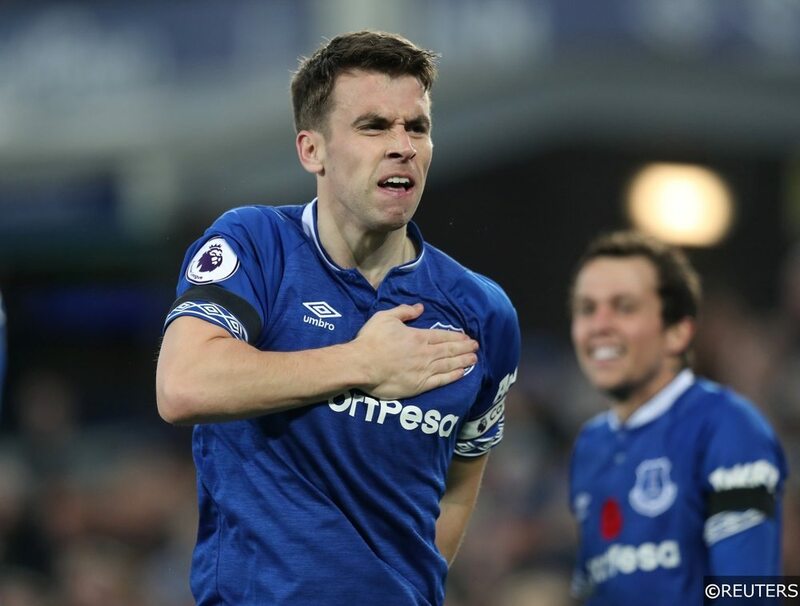 It’s been a tough season for Everton stalwart Seamus Coleman. The Republic of Ireland international would be the first to admit that he has had to endure his worst campaign at the club in terms of individual performances in 2018/19, though the 30-year old will be keen to restore some lost pride on Sunday. Coleman has looked leggy and erratic at times this season in his usual right-back berth, and there will understandably be doubts about his ability to shackle Liverpool’s Sadio Mane this weekend. Mane has scored 6 times in his last 7 Premier League appearances for Liverpool and it looks as though the 26-year old is sharpening his attacking tools just in time for the business end of the season. Mane’s explosive pace should cause huge problems for Coleman down Liverpool’s left-hand side and the Senegalese international will back himself to produce another game-changing moment or two for the visitors on Sunday. Keep up to date with all the latest Premier League opinion, match previews, predictions and betting tips here. Betvictor are also getting in on the act – they are giving new sign ups enhanced odds of 30/1 on a Liverpool victory. Again, the maximum stake for this offer is £1 and other terms and conditions apply. Find the rest of our Premier League special offers, free bets and sign up bonuses here. Categories: Betting Strategy, Blog, Football, and Premier League. Tags: 5 key battles, Premier League Analysis, Premier League special, and premier league tips. Team Tag: Everton and Liverpool. League: England Premier League. Sports: Football.